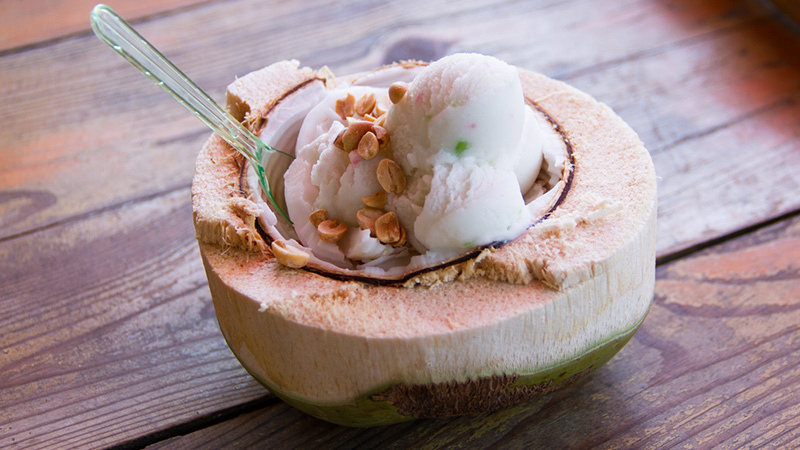 On a hot summer day, is there anything better than a scoop of delicious ice cream? Sadly, store-bought ice cream is frequently filled with fat, sugar and unpronounceable ingredients – so why not make your own at home? 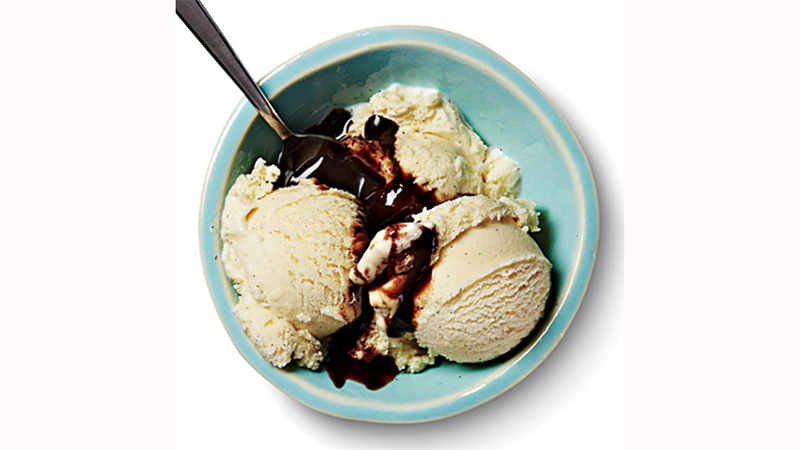 There are virtually hundreds of homemade, ice cream recipes you can enjoy, without sabotaging your clean-eating streak. While you still want to enjoy these desserts in moderation, they definitely are a step up from the full-fat, full-sugar varieties. Check out our favourite homemade ice cream recipes, some of which don’t even require an ice cream machine! 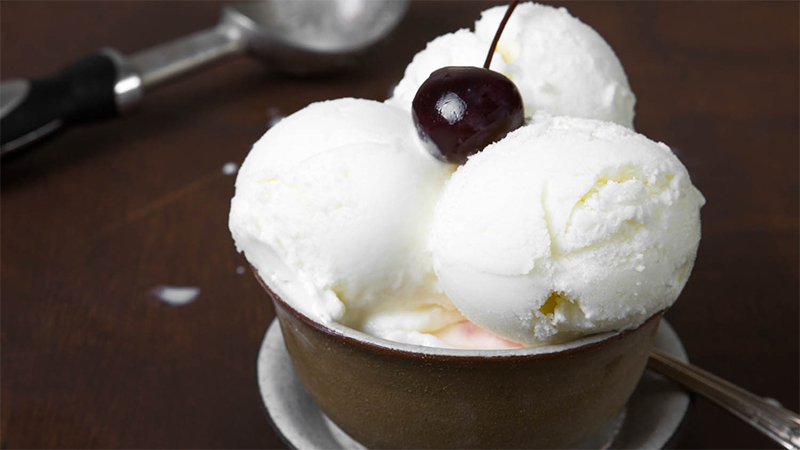 This recipe for homemade ice cream from My Recipes tastes decadent and creamy, but instead of using actual cream, it replaces it with evaporated low-fat milk, which helps lower its overall fat content. It’s also unbelievably delicious. 2 tablespoons light corn syrup (or 1 cup of sugar and 1/4 cup water). In a medium saucepan, mix the evaporated milk, half-and-half, corn syrup, 1/4 cup sugar and salt. Scrape the seeds from the vanilla bean, then add the bean and seeds to the mixture. Heat the whole mixture to about 180 F. You want tiny bubbles to start to form around the edge, but you do not want it to boil. Take the mixture off the heat and let it stand covered for about 10 minutes. In a separate bowl, whisk the egg yolks and the remaining 1/4 cup sugar. Gradually pour the milk mixture into the eggs, continually stirring. Then, pour the new mixture back into the pan and cook over medium heat while stirring continuously. When it has reached 160 F (check using a thermometer), remove the pan from the stove and place it into a bowl filled with ice to let it cool. When it’s cool, strain the mixture to remove any solids, then follow the directions on your ice cream maker to finish. If you don’t have an ice cream maker, you can still enjoy this next homemade ice cream recipe from SparkPeople. All you need is a couple of plastic bags. Place the liquid, sweetener, vanilla and fruit (if using) in the pint-sized plastic bag. Seal it tightly (make sure the seal is good, because if it comes undone, it will ruin your ice cream). Fill the gallon-sized plastic bag with ice cubes until it is halfway full. Add 6 tablespoons of salt. Place the pint bag inside the gallon bag, then seal the gallon bag. Shake or knead the bags until the ice cream solidifies. This recipe is very versatile. You can try it with a variety of different fruits such as mango, strawberry, banana, peach, raspberry, blueberry, and more. You can also try adding cacao nibs, maple syrup, nuts, or just about anything else that strikes your fancy. 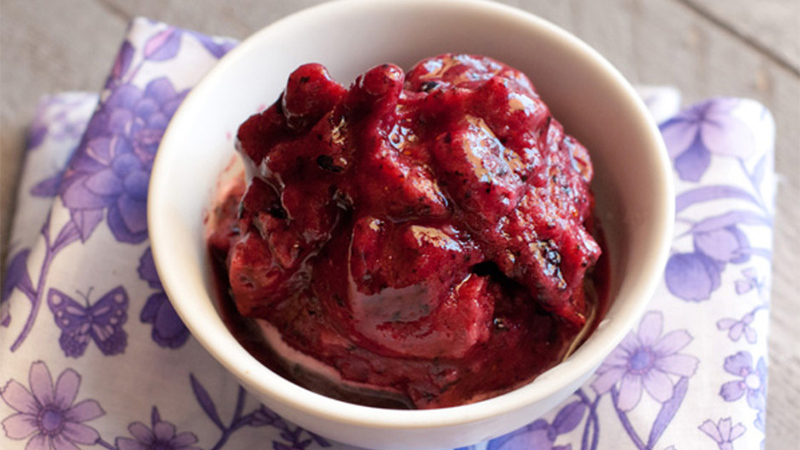 If you have an ice cream machine, it’s super-easy to make delicious frozen yogurt. This recipe comes from Seriouseats.com. As it stands, it’s a little high in fat and sugar, but it does not contain any corn syrup, and the fat all comes from the yogurt. Swap honey or maple syrup for a more natural touch of sweetness. Whisk all ingredients together until the sugar is fully dissolved. Refrigerate until the yogurt is 45 F or cooler. Use ice cream machine to finish preparation. Chill in freezer for at least 4 hours. 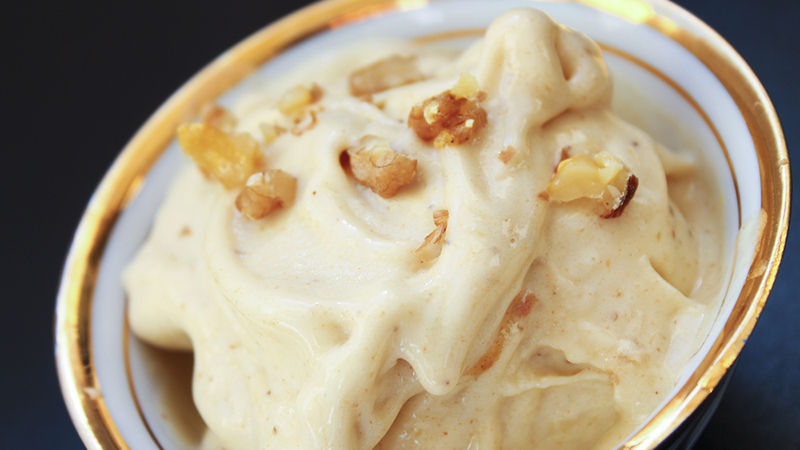 If you have a good blender or food processor, you can enjoy a truly diet-friendly, clean-eating, vegan ice cream. Simply blend up ripe frozen bananas until they’re the consistency of soft-serve ice cream, then serve and enjoy. The bananas end up surprisingly creamy. If desired, add nuts, fruits, or cacao nibs. This recipe from sheknows is easy and delicious, as long as you have a good blender. Blend all ingredients in a high-quality blender until smooth (using as much agave nectar as needed to reach your preferred sweetness). Transfer the mixture to the freezer until ready to serve.